Color: brilliant deep ruby red Smell: The primary fruit aromas of dried plum and cranberry combine with the herbal aromas of mint and eucalyptus and a hint of black pepper to create a many-faceted bouquet. Taste: With its sturdy tannin structure and rich fruit aromas, the Merlot can develop to the full on the palate to display great complexity with depth and length. Kolbenhofer Vernatsch Schiava - 2017 - Winery Hofstätter 11,25 EUR / 15,00 €/lt. St. Magdalena Classico - 2017 - Winery Griesbauerhof 14,95 EUR / 19,93 €/lt. Sauvignon Blanc Winkl - 2018 - wine cellar Terlano 20,90 EUR / 27,87 €/lt. 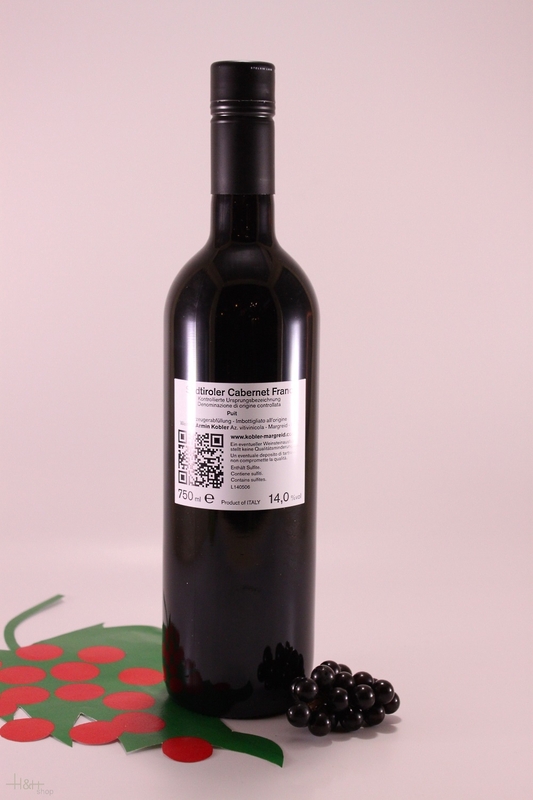 Schiava South Tyrol DSP - 2017 - Winery Colterenzio 8,50 EUR / 8,50 €/lt. Gewürztraminer Vigna Kolbenhof - 2016 - Winery Hofstätter 30,75 EUR / 41,00 €/lt. Roblinus de Waldgries Lagrein - 2015 - Ansitz Waldgries Winery 92,55 EUR / 123,40 €/lt. Pinot Blanc Eichhorn - 2017 - Cantina Manincor - Graf Enzenberg 29,35 EUR / 39,13 €/lt. Cabernet Riserva - 2015 - cantina Lageder Alois 20,15 EUR / 26,87 €/lt. Pinot Blanc Vial - 2017 - Winery Caldaro 14,45 EUR / 19,27 €/lt.